In Part 1 I discuss Matitiahu Tsevat’s argument that, in the Book of Job, God and retribution cannot be simultaneous focal points; and in Part 2 that the retribution principle does not always work on our timeline, especially if we hinder God’s purposes. Is Job, then, a book teaching that our experiences are not a consequence of our deeds, or that we cannot expect God to act on our behalf? Absolutely not! It is a book about God’s amazing grace to remain with us amidst our struggles even when we cannot see Him. It is a book reminding us that the retribution principle is in effect–that justice is coming–but that God’s timing is not our timing, and justice belongs to Him alone. We do not give up the theology of Torah, rather Torah is fulfilled–a new dimension is revealed. Without this bridge between Torah and the New Testament, the end time labor pains do not make sense. We must remember that “The Lord is not slow to fulfill his promise as some count slowness, but is patient toward [us], not wishing that any should perish, but that all should reach repentance” (2 Peter 3:9). We cannot expect immediate results; we have to trust God: “But seek first his kingdom and his righteousness, and all these things will be given to you as well” (Mat 6:33). And we have to recognize that we have only a partial perspective: “For now we see in a mirror dimly, but then face to face; now I know in part, but then I will know fully just as I also have been fully known” (1 Cor 13:12). When we recognize these things, we can comfort those who mourn, using our love for them to re-open their broken hearts to receive the love and shalom of the Spirit. We can remind them that God is near, and that He is faithful in working everything out for our good. Job is transformed within his story because God entered his place of suffering. He manifested Himself to Job in a personal way, which broke Job’s mechanical mindset of retribution. He reminded Job of His participation in creation and the earth from the very foundations of time. And He reminded Job that His perspective is so far beyond human comprehension, yet He still chooses to manifest Himself among us. In other words, Job remembers that he has every reason to trust God because of the strong relationship they have had in the past. Job can stop worrying about what will happen next. He no longer has to struggle to survive each day, or to defend himself in the cycle of repetitive introspection and defense. He can rest in God knowing in full confidence that God has this under control–regardless of the outcome or length of the trial. This realization creates a change in Job, which is reflected in his response: “I know You can do everything; nothing You do can be foiled or frustrated” (Job 42:2 The Voice). He trusts God because he has experienced God personally: “Before I knew only what I had heard of You, but now I have seen You. Therefore I realize the truth” (Job 42:5-6 The Voice). Job loved God fully when He was a transcendent sovereign God. Now he has encountered God. His theology had been solid, but one dimensional. Now he has experienced God as a personal and living being, and so his theology has likewise matured to a multidimensional understanding. Through Job’s suffering, he was able to meet God in this way, presumably for the first time at this level of intimacy. Perhaps this is why God chose Job: because He wanted to personally interact with Him so thoroughly? This is not to say that suffering is ever God’s purpose, but that in everything we can rejoice in God’s greater purposes, and the hope of that ultimate reconciliation with Him, which results in the restoration of all things. Even in Job we see that the Spirit of God is with him within his suffering (e.g. Job 27:3), and that God is compassionate and anxious for Job’s complete healing. God is with us too, regardless of what we are going through or why we are going through it. Our job is to focus first on God, and it is in Him that we find peace (not in the reconciliation of our circumstances alone). Remember the formula I suggested in Part 2: Job <—> God —> Retribution? We cannot focus on both God and Retribution simultaneously; but if we truly give our burdens to God, we know that because of His great love for us He will carry out retribution at the first opportune moment. God’s purpose is the restoration and reconciliation of all things–He created the heavens and earth to be good, and wants that goodness restored. We have that to look forward to–both now, and in the coming days. Julia Foster was a missionary in India until her father’s sickness brought the family home to England, requiring her to find work as a governess to financially support herself and her parents. At Highland Hall, Julia quickly becomes like part of the family, catching the eye of the estate’s master, Sir William Ramsey, as she attends to the children. Meanwhile, Ramsey struggles to save the estate from financial ruin. The front-cover praise of best-selling author Julie Klassen compares this novel to Downton Abbey, and I fully agree with this assessment. I am not a super fan of Downton Abbey–I watched and enjoyed the first couple seasons, but have not recently been following the show. 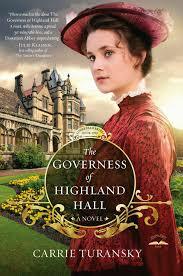 The Governess of Highland Hall is more engaging to me than Downton because the pace is a bit faster, and the characters are lovely. Turansky’s writing is vivid. The story is predictable, but so sweet and delightful that it is a joy to read. The Edwardian era is also captured particularly well. Moreover, faith is (appropriately) a large part of this narrative, as is the tension between social classes. There are definite moral and religious themes presented throughout, and while they are direct, I liked how the story enveloped these seamlessly. Julia’s faith, especially, is a guiding element within her personality and decisions; it is the Christian faith in comparison to the materialism and class separation of the period that brings life to these characters. I do think the ending could have been written a bit more powerfully. And, since this novel is complete within itself, I would have also enjoyed a clue to what the next in the series will offer. I am not left with any suspense toward the narratives to come, even though I thoroughly enjoyed the lightheartedness of this one. In Part 1 I discuss the retribution principle, along with Matitiahu Tsevat‘s theory that in any given situation only two of the following elements: Job, God, and Retribution, can exist together at any single moment. If the retribution principle is eliminated there is new freedom for a personal relationship between God and man. But does this mean the retribution principle must be eliminated to understand the Book of Job? Only for Job–that is, for the suffering person. Job needed it removed from his primary focus so that God could move into that place. He needed to trust God’s methods without understanding them, and until he lets go near the end of the book he had been unintentionally fighting against the process in defending himself and God against his enemies (i.e. his “friends,” the spiritual battle, and even against a part of himself). God, however, is not limited to this same time frame or struggle. From a heavenly perspective it is certainly possible for Job and Retribution to exist simultaneously. This, after all, is the nature of God: He both predestines, and changes His mind; He is transcendent above us, and immanent among us. God can interact with the sufferer, and be moved by compassion within the given moment, but He can also foresee the future, and develop plans accordingly. God knew, from the beginning, that He would bless Job abundantly. Job considered this thought as well. But whereas Job’s focus was distracted by what should be and what is, God remained unflustered. He could see Job’s pain, recognize the necessary process for Job to fully surrender within his trial, and foresee the blessed outcome. The reader, too, should note God’s eternal mindset and patience. Neither the reader nor God needs to eliminate the retribution principle–Tsevat essentially advocates this, but I don’t think it is the best way to understand what God was doing. Rather, God put Himself in front of the retribution principle, so that Job could relax in the midst of his pain, trust God, and refresh himself in the refuge of the Lord. God is no longer transcendent from the situation, but places Himself at Job’s level, so that Retribution is no longer within Job’s view. God begins above the situation (the top of the triangle), then comes down into it. God can look both toward Job (us) and Retribution, which may take place now, or perhaps not until the “Day of the Lord” when our warrior King will punish the wicked, and reward the overcomers. Thus, the retribution principle is not removed, but realized in Kingdom perspective as Job comes into contact with the living God of eternity. I decided to check out this Bible because the three lines on the cover reminded me of those alternate ending novels that never quite caught on–my interest was peaked. This is how it works: The Bible appears in its full, conventionally ordered, New Living Translation text. It could easily be read front to back or skipped through, but there are also three clearly marked “paths,” each with their own distinct icon: the flyover route (major events only), the direct route (a cohesive summary of the full Bible), and the scenic route (comprehensive, with many scenic stops). I decided to try out the scenic route because I am already familiar with the whole of Scripture and was curious to discover the scenic views. I was overall impressed. 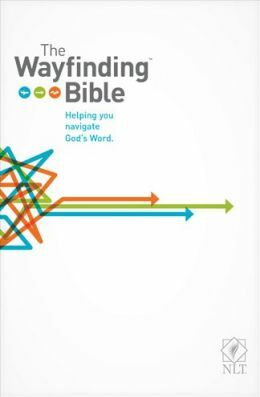 I enjoyed how the route took me back and forth to allow for the reading to be near chronological (“near” because some books are harder to date), and to bring cohesiveness between passages (e.g., some of David’s psalms are interspersed throughout the reading of his kingship, bringing more depth to their context). This is an attractive, modern looking Bible. It is well organized, and I particularly love the itinerary overview chart of all three routes in the back, the multiple “side trips” of topical themes and occasions, and the well-placed maps and charts throughout. The frequent commentary (“Observation Points” and “Exploration Points”) was mostly helpful and interesting, but this is also where the Bible falls short for me. I appreciated the historical, cultural, and “factoid” emphases, but did not like (or agree with) the theological interpretations brought into some of them. I would rather the blurbs had only stuck with non-controversial discussion, especially since they are so short that there is no room for proper exegesis or bibliographical information representing major viewpoints. For example, a couple of the blubs advocate replacement theology (the perspective that the church has replaced Israel); and while this is a fairly common understanding within the church, I do not personally feel comfortable perpetuating what I consider to be harmful theology. A couple places also put an unnecessary symbolic spin on Scripture. And the Bible also removes the possibility of a young earth perspective of Creation. Areas like these with various interpretations should simply be avoided since there are so many other interesting discussions that are agreed upon across denominational boundaries. Since the target audience for this Bible seems to be those who are less familiar with the Bible as a whole, I would not want those who do not know better to pick up theology without a proper understanding of the reasons and implications behind each perspective. As a whole, though, the historical pattern and overview of Scripture is pretty good, and the routes are beneficial for this kind of study. The Bible presents well, is easy to use, and is a lot of fun to read and reflect on. I received a complimentary copy of this Bible from Tyndale House Publishers. Twenty-three year old orphan, Samantha (Sam) Moore, has always hidden behind her favorite books. Her childhood was difficult, so books (especially everything Jane Austen) became her escape, and eventually more of a reality than the present. 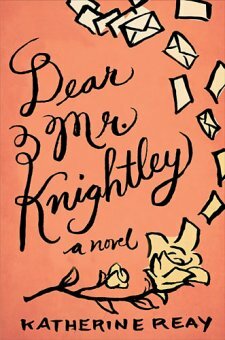 As she struggles to relate to people, an interesting opportunity presents itself: an anonymous donor would like to pay for her to pursue a graduate degree in journalism–but it has to be journalism, and she must write frequent diary-like letters of her life and experience in exchange. The novel is written almost entirely in letters, and Jane Austen, Edmond Dantes, Charlotte Bronte, and others are quoted frequently since Sam relates to classic fiction more so than to reality. I was not immediately engaged with the story, especially since I could not quickly recall each of the quoted moments within their literary context. However, with each new letter to the mysterious “Mr. Knightley,” Sam becomes more and more able to express herself. And as the character developed and matured, so did my interest and connection with the story. I ended up really enjoying the writing, characters, and depth of the narrative. It is almost a coming-of-age piece in that Sam re-experiences her past through her letters, and discovers herself through her challenges. It is also a book about the writing process, which I especially appreciated. Sam’s writing grew as she found her voice within it, and her self expression and openness allowed her to find her voice in life as well. Best of all, it ends well (maybe a bit predictably–but sometimes this is good). I recently finished a seminary elective about God and Healing, and thought I would progressively share some of the richest moments of my studies. I’m going to start with some thoughts on the Book of Job, because this truly transformed my perspective. Tsevat’s diagram is an equilateral triangle in which Job, God, and Retribution each take one point. The concept behind this is that we cannot look in two directions at once–we can look up at God, or across at our situation (or even backward, or in some other direction)–but we cannot face both directions simultaneously. Job’s friends understood God and Retribution to be true, therefore they believe Job must not be righteous as he says. Job perceives himself as righteous, so struggles between his relationship with God and expectation of retribution (nearly, but not quite, losing God in the process). If we have retribution in mind, we naturally begin to put our hope in that–in justice, health, restoration–and it becomes difficult to “serve two masters” so to speak (Mat. 6:24). Our relationship with God lessons until our faith in Him is omitted, even if He was the intended source of the retribution. In this way the human yearning and expectation for retribution produces a mechanical faith, whereas resting in God is an organic, personal one. God’s eternal perspective goes beyond this while also bringing cohesiveness to the retribution principle. This will be discussed further in Part 2. In 18th century Basel, Switzerland, the young Leonhard Euler (a true historical person and math prodigy) finds himself in the middle of a mysterious investigation. More importantly, however, he is forced to consider the big issues of life and death, cause and effect, and the invisible laws that hold everything together. The story is largely abstract, although many of the characters are real people. And the history (to my knowledge) appears accurate with the expected amount of added fantasy and creative compilation to aid in the storytelling. Paul Robertson’s writing style is unique, and so it took me awhile to feel grounded in the story, and even longer to enjoy it. The writing is reflective of the principles of mathematics and physics that are the basis for the story. Thus, the narrative spirals in an interesting way, there is quite a bit of figurative language (some that I never quite did understand), and an underlying theme of complex, abstract thought regarding the patterns (mathematical and spiritual) of life. While the book is marketed as “historical suspense,” this is not the sort of modern action suspense one might think, but rather more like a riddle that is progressively uncovered. By the half-way point I found myself really enjoying the story with all its oddity, mystery, metaphor, and nuance; and I continued to appreciate it more and more until the end. 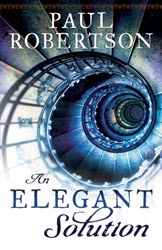 Robertson’s writing grew on me; I am glad I stuck with it! It is a novel full of intrigue, and history, and great for those who enjoy the intellectual world of theoretical/conceptual contemplation and introspection regarding the “invisible” principles that guide our world. 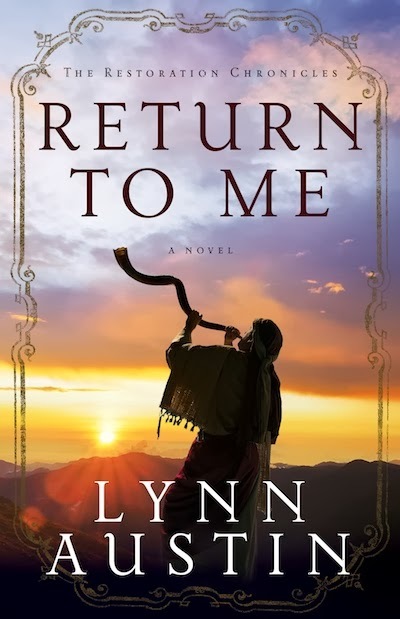 Return to Me focuses on the return to Jerusalem after the Babylonian exile, and the rebuilding of the temple. It is at this time in Jewish history that the faith is restored, liturgy is developed, and a structure is put into place in order to help the people return spiritually to God just as they have spiritually. Austin’s story demonstrates this in part, but not with accurate supplementing detail. For instance, she portrays the Men of the Great Assembly as a functioning entity prior to the return, and also mentions the building of a fence around the Torah, but both are not formed until after the return. Rather they are introduced during the rebuilding process as the Jewish people demonstrate the renewal/re-dedication of the covenant. While there was a faithful remnant during the exile, it is very unlikely that serious devotion to Torah was being practiced (and especially not in formal yeshivas). Austin also describes other aspects of Modern Judaism that also would have been out of place at this time (e.g. the practice of kindling the sabbath lights comes from the Middle Ages). To an extent, it may be positive that the Judaism described reflects modern rather than ancient practices. It is beneficial for the church to recognize modern Jewish culture, and in a way, brings the modern reader into the story (which is thematically very relevant for today). However, I am pursuing an M.Div. in Messianic Judaism, and had just finished a course in the history and practice of Jewish liturgy when I began reading this book. Due to my growing knowledge of Jewish history and culture, I was so distracted by the lack of historical accuracy within Austin’s presentation of postexilic Judaism that I could not relax and enjoy the story. It is too bad, because I love this kind of historical/biblical fiction, and especially love the second temple period. Readers who are looking to understand the broad strokes of biblical history, and are less concerned with accuracy in the details, will likely enjoy this book. The characters are well-developed, the story flows well, the writing style is enjoyable, and there are moments of (I believe) divinely inspired insight. I would read another book from Lynn Austin; but this one I just could not enjoy properly.